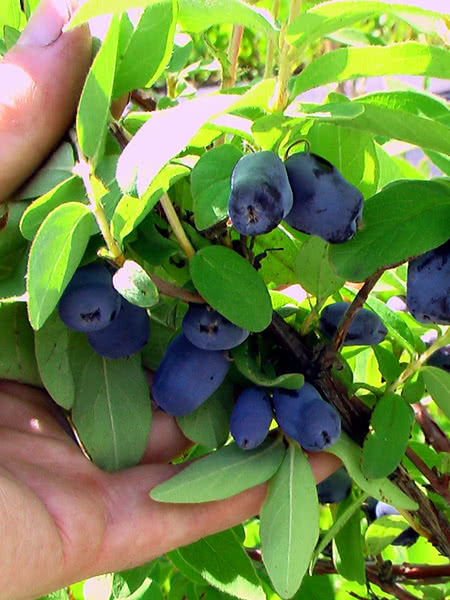 Borealis Haskap is a popular variety of the hardy haskap shrub that produces delicious blue fruit. 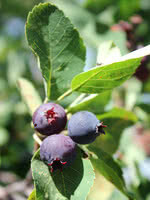 Haskaps, or honeyberries as they are sometimes called, are excellent for fresh eating and cooking. 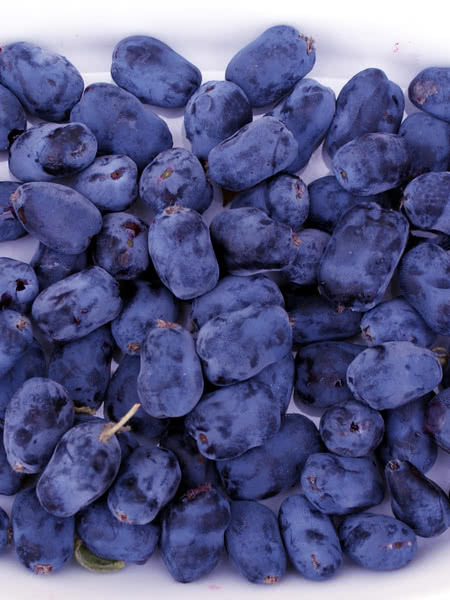 Borealis is a popular variety of haskap because of its large sweet berries. 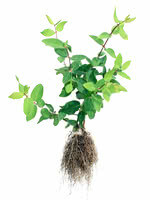 It's a very cold hardy, fast-growing shrub that begins producing an abundance of fruit in as few as three years. Borealis, like the Tundra Haskap, does not self-pollinate well. We recommend a 'pollinator' variety, such as Aurora, Honeybee or Berry Blue Honeyberry, be planted at a suitable ratio and proximity to boost fruit production.